More exciting movie posters, this one by GONCALO VIANA for iam8bit Gallery in Los Angeles. Gonçalo was asked to submit a piece for their upcoming show “Sequel 2” which is the sequel to their first “Sequel” show in 2014 where Gonçalo illustrated the 2084 piece. Following iam8bit’s popular “Sequel” exhibition, the gallery once again asked artists to imagine and create faux poster art for a movie sequel that never happened. 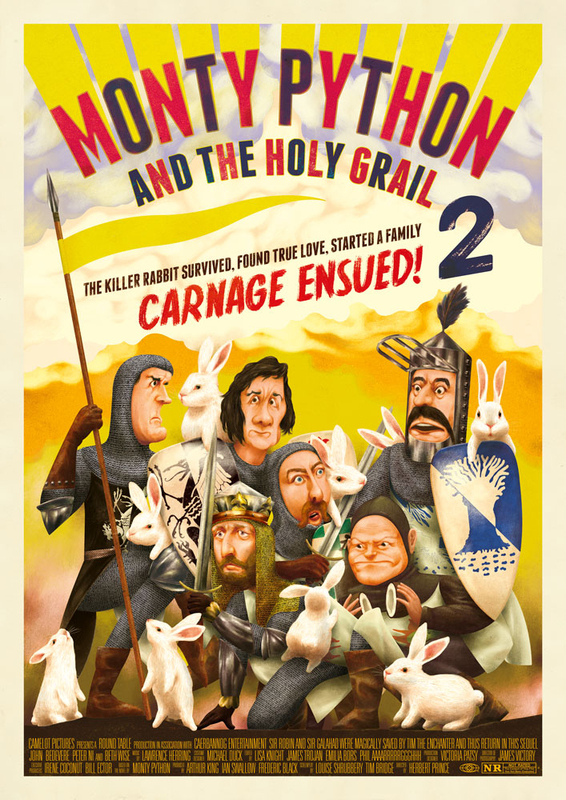 This time around Gonçalo chose one of his long-time heroes, Monty Python, and their film Monty Python and the Holy Grail. With this poster, Gonçalo tried to imagine its sequel amongst the current repertoire of action movies. The show opens on November 30th so to those out in LA, don’t miss it. More information here.